Ebony is best-known as the Queen of Fabric Die Cutting, and you may recognize her from her frequent appearances on Quilting Arts and Quilty with Mary Fons. 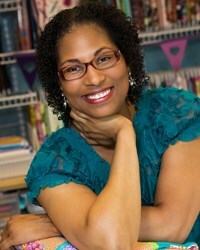 She is also the author of several books, including the best-selling and award-winning The Big Little Book of Fabric Die Cutting Tips. 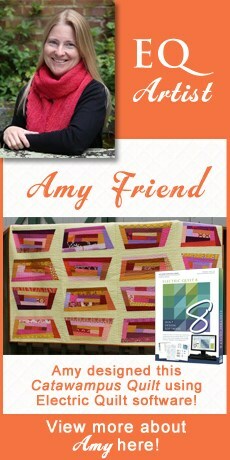 “Electric Quilt is one of those tools in my designing toolbox that I could not live without. I love working with geometric shapes and playing with traditional blocks, and the thousands of blocks in the EQ Libraries gives me a great starting point for my quilting designs. Some of my favorite features of EQ include Serendipity, the Block Worktable and Custom Layout. These tools allow me to tweak designs and truly make them my own.